The baseball season has begun, signaling to all Americans not born in Florida or California that the Divine Child of Spring has once again defeated Old Man Winter. The world (along with the home team’s pennant hopes) has been reborn once again. It’s no accident that Easter occurs at this time of year. Rebirth and redemption. New possibilities. Let’s play two, as Ernie Banks said. It’s not over till it’s over, said Yogi Berra. The Cubs (!) are favored to win it all. 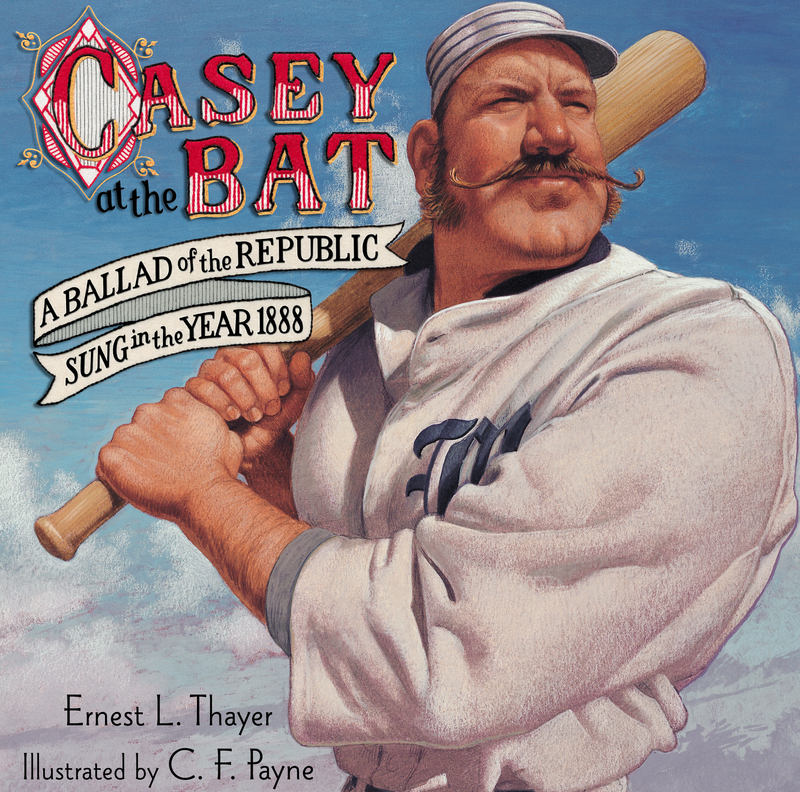 So return with me to the days of yesteryear, when the oral tradition was still alive, as told in Casey at the Bat, the full title of which is A Ballad of the Republic, Sung in the Year 1888. The score stood two to four, with but an inning left to play. They’d put even money now, with Casey at the bat. And the former was a pudd’n and the latter was a fake. But Flynn let drive a “single,” to the wonderment of all. For Casey, mighty Casey was advancing to the bat. And when responding to the cheers he lightly doffed his hat. And Casey stood a watching it in haughty grandeur there. Like the beating of the storm waves on the stern and distant shore. Forget Whitman, forget Emily, forget T.S. Eliot. Casey, writes Donald Hall in his remarkable essay in the centennial edition of the poem, is the most popular poem in our country’s history, if not exactly in its literature. 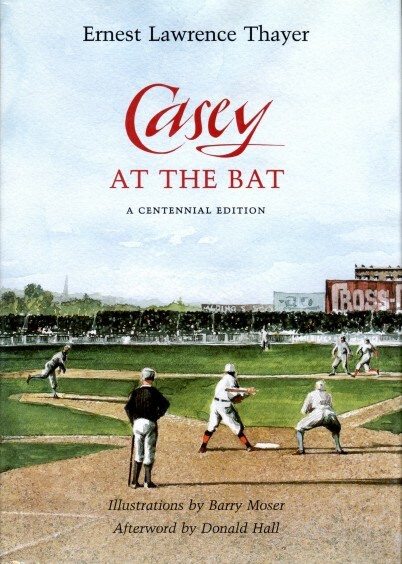 It has spawned dozens of other poems over these 128 years, ranging from versions where Casey strikes out again to ones in which he redeems himself with a home run. See Casey’s Revenge (1907) or The Volunteer (1908), where an aging Casey returns decades later to step out of the stands and save the day . But none of these re-tellings (all great mythic narratives have many versions) have held our imaginations and hearts like the original version. And for a very long time, we loved to listen to it. From the 1890s to his death in 1935, an actor named DeWolf Hopper recited Casey onstage to enraptured audiences over 10,000 times. Listen to his melodramatic rendition here. We love this poem because it speaks about America, the land of opportunity and achievement – the land of heroes. And yet, it is perhaps the only enduringly popular American story in which the hero is a failure, or in current vernacular, a loser. …is Christlike: It is “With a smile of Christian charity” that he “stilled the rising tumult”; if we remember that this metaphoric storm occurs at sea (“the beating of the stormwaves”), we may understand that Casey’s charity earns its adjective. Casey, however, just plain strikes out. Game over. There is no willing sacrifice, no meaning except for failure. As they said in Viet Nam, where America suffered its first defeat, it don’t mean nothin’.